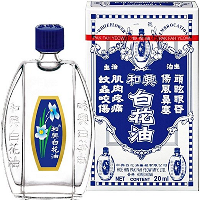 A local Singaporean merchant who name is Mr. Gan Geock Eng in Singapore, he saw an incredible opportunity, so started to mass produce the white flower oil back in 1927. Since then the product became popular around the world to this day it still remains a trusted cure for a headache, congestion, muscular aches, and general pains. White flower oil is a combination mixed of a number of oils, It contains menthol, wintergreen oil with peppermint, camphor, eucalyptus, and lavender essential oils, all of which are well known for their natural benefits. Apply topically for muscle pain or headaches. Fast relief, Amazing!!! There is no serious side effect with the White flower oil, but like many essential oils, it is not recommended for use with pregnant women or children. Some people have sensitive skin may experience some irritation or allergic reactions, so it is wise to do a patch test before using it regularly.